An interest in airships is what sparked the beginnings of the Calgary Balloon Club. In the early 1970s a handful of enthusiasts got together with the intention of building and operating their own airship. This enthusiasm was soon channelled into hot air balloons. With hard work and a lot of luck a sponsor was found and the club’s first balloon was launched in 1973. The club has since progressed to the ownership and operation of many different balloons and currently has a membership of over 70 persons, both pilots and crew. 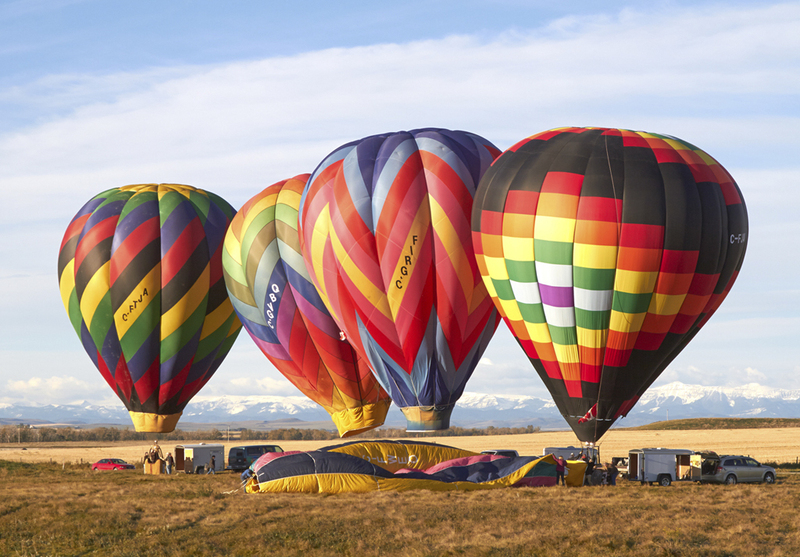 The Calgary Balloon Club is a non-profit organization dedicated to the promotion of hot air ballooning as a recreational sport. All members share in the costs so that membership and flying fees can be kept at a reasonable rate. Members come from all walks of life and a cross section of age groups. Many private balloon owners also contribute their time and effort to the club. Most members join because they enjoy the fun and camaraderie as well as meeting intriguing people, such as Canada’s first woman balloon pilot. As a front-runner in the sport of ballooning in Alberta, the club has helped to establish activities that have become annual events, and has developed a training course, “Practical Ballooning”. A love of the sport and a keen interest in people are the factors that contribute to the success of our organization. If you’re interested in leaning more about us, check out our FAQ. If you want to see what our pilots fly, check out our Member Balloons.